Thank you for participating in Pion Design Spring Challenge, it has been a pleasure to see your beautiful creations. Please e-mail your address to jenny@piondesign.se so we can send your packages. 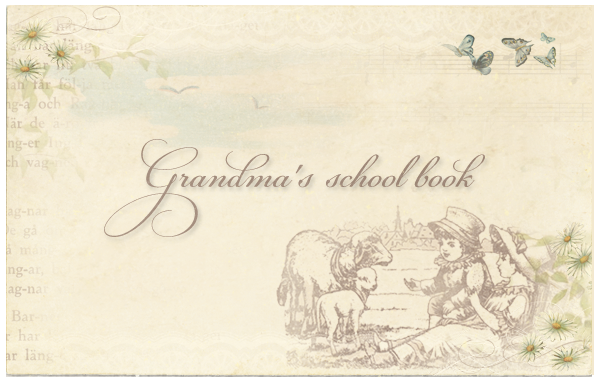 Your prize will be papers from our upcoming collection Grandma’s school book! Oh WOW! I cannot believe I am a winner, thank you so much, I’m so happy, I adore your beautiful papers. Thank you and congratulations to the other two winners. Ønsker dere en deilig dag♥! What an honour, to be picked out of so many beautiful entries! Congratulations to Teresa and Ellen and a big THANK YOU for this nice and kind surprise!